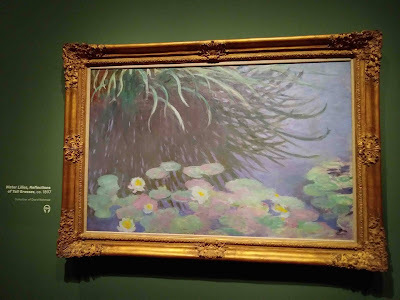 And when I learned that this month at the same De Young Museum a new exhibition on Late Years paintings of Monet just opened, I was there right away. 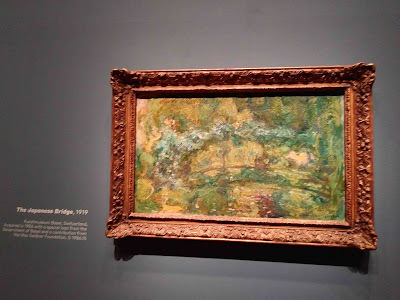 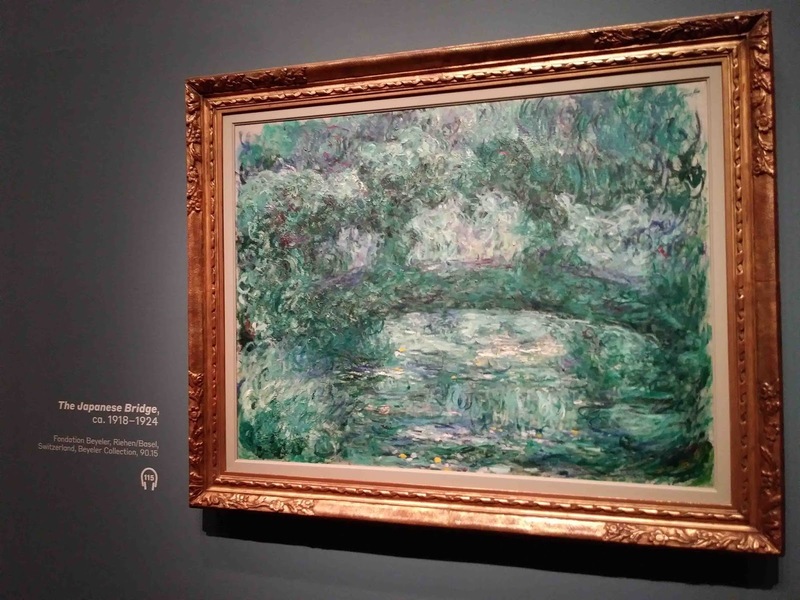 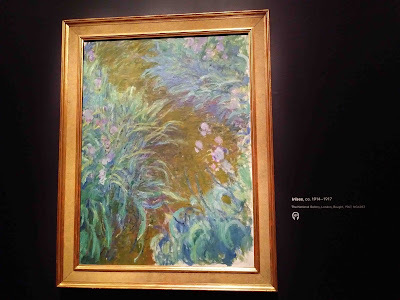 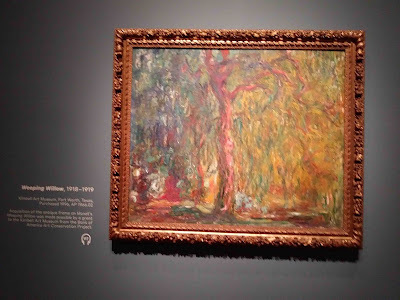 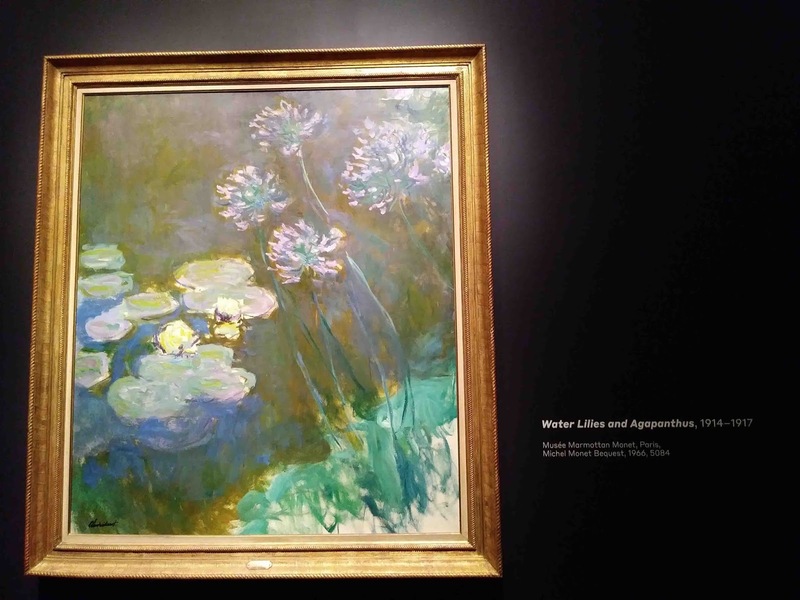 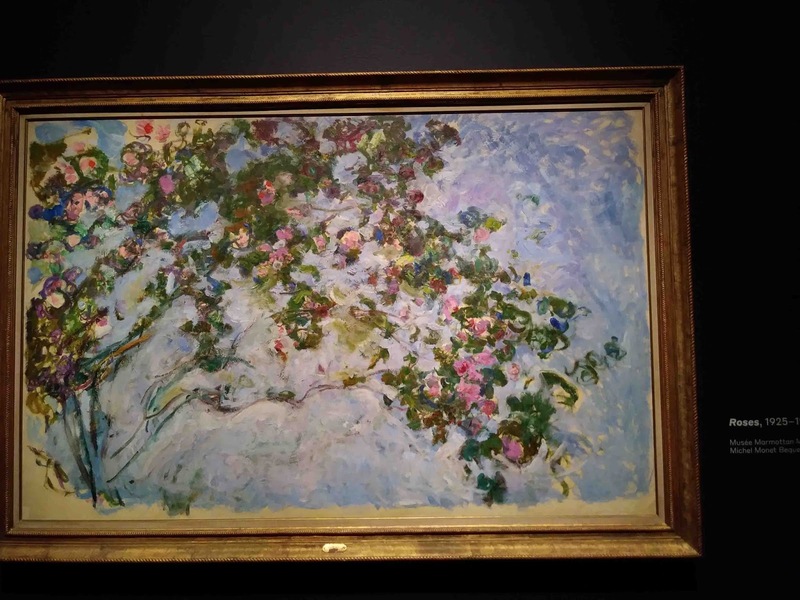 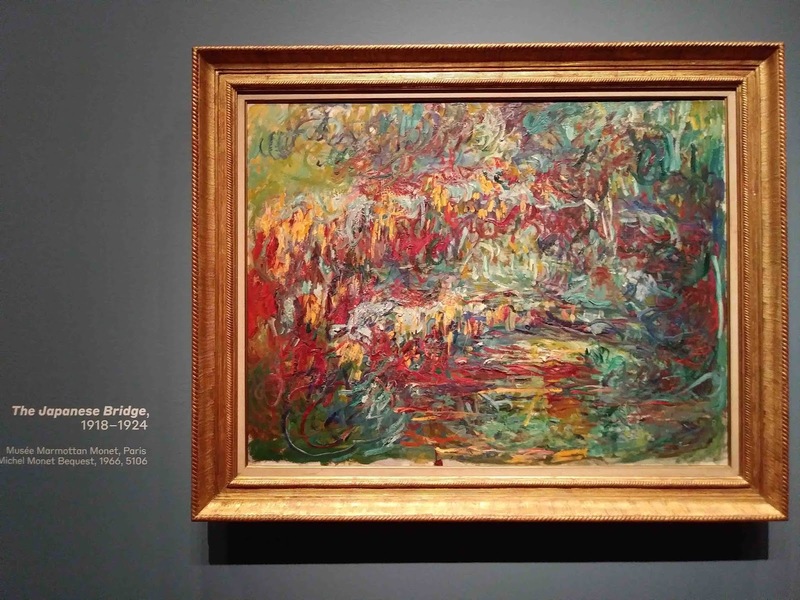 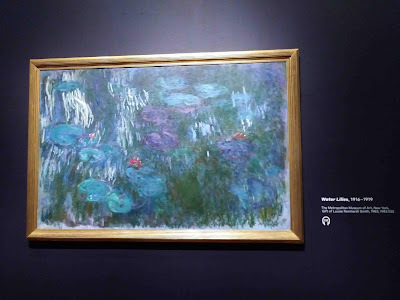 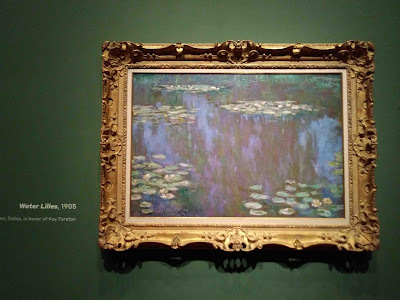 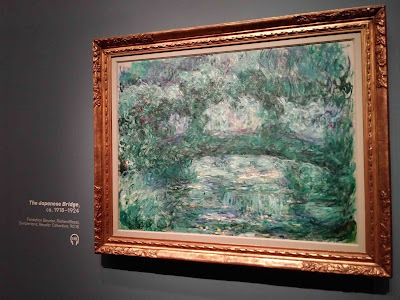 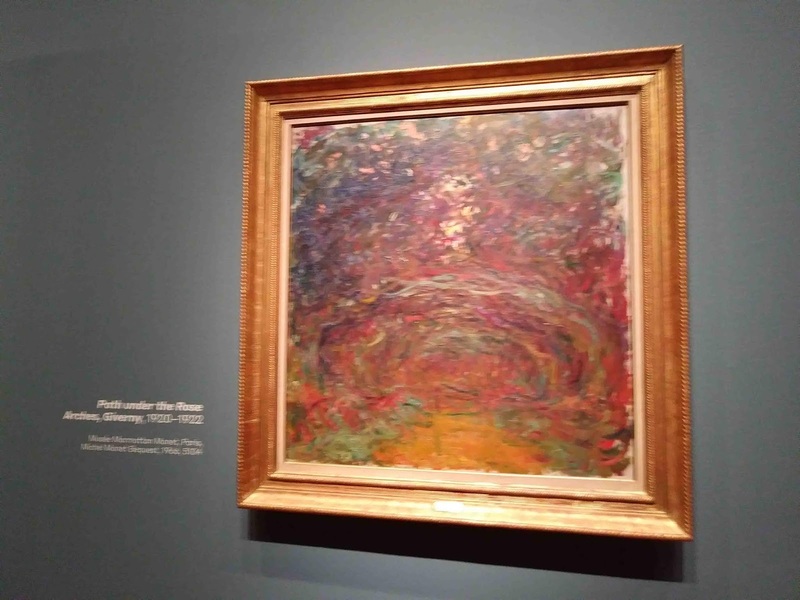 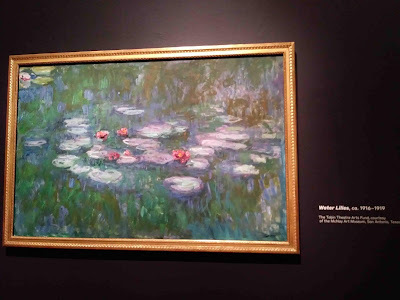 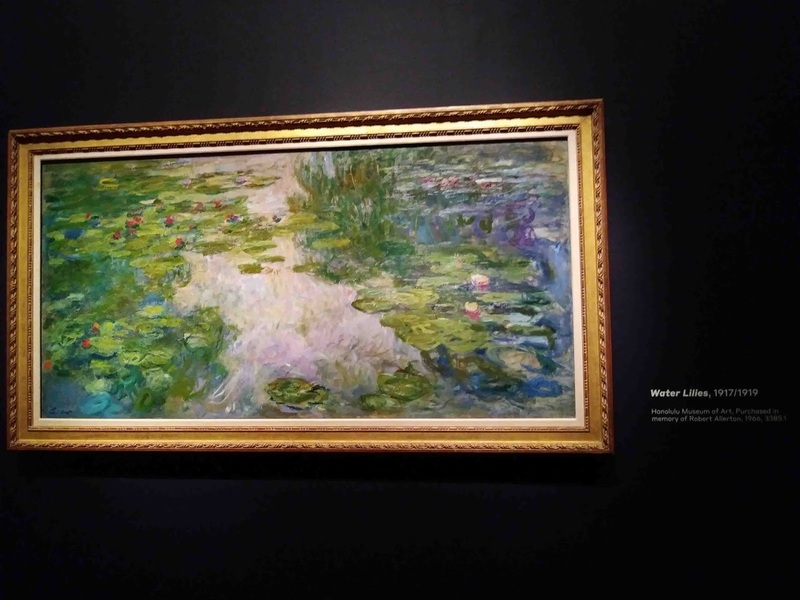 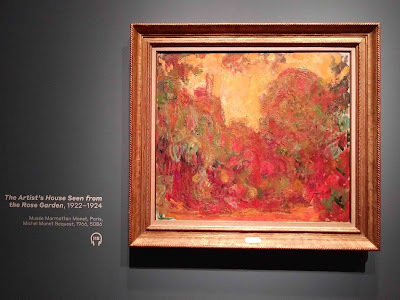 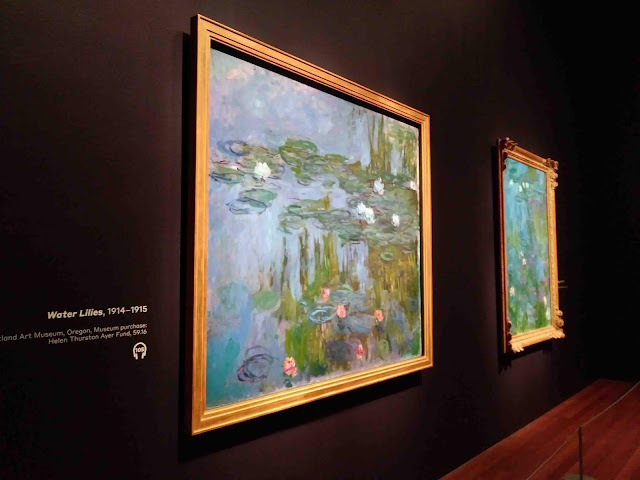 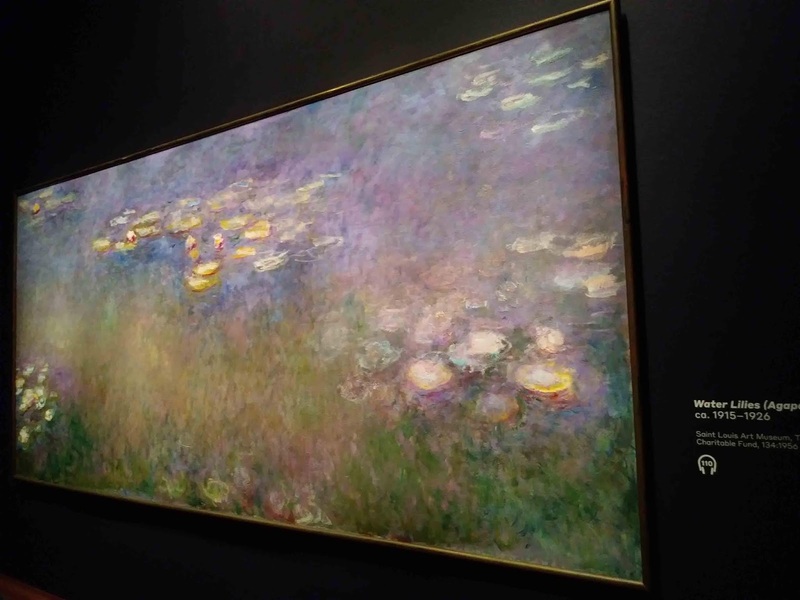 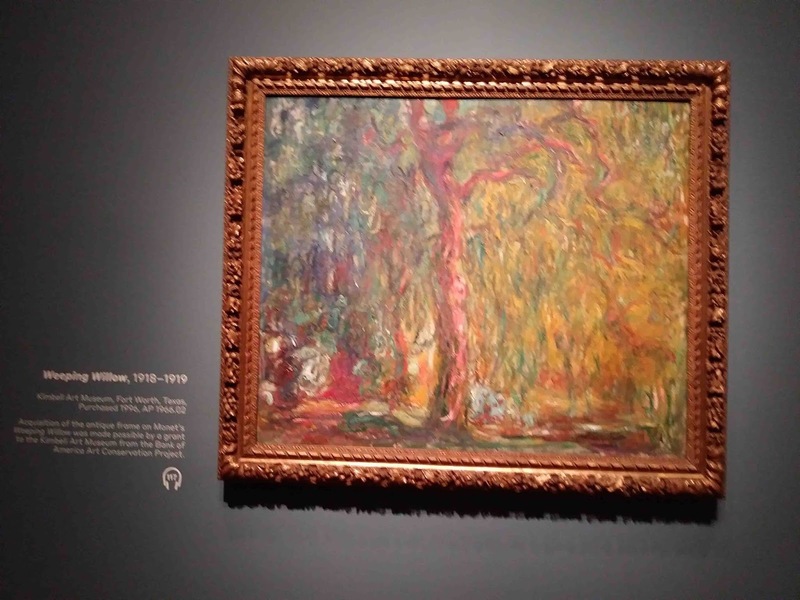 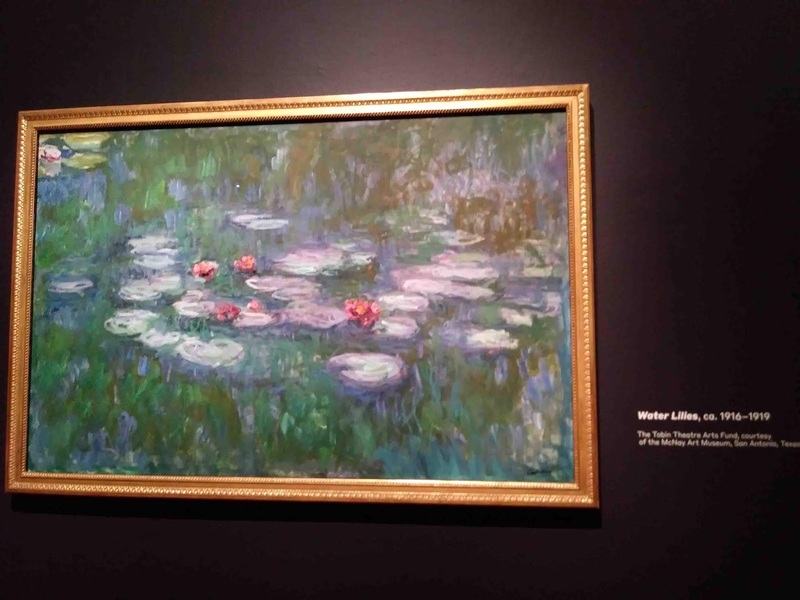 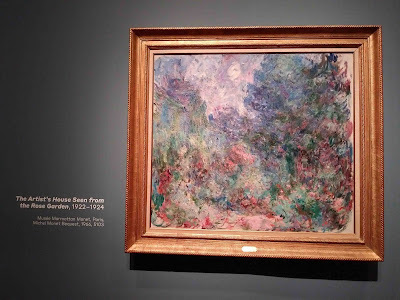 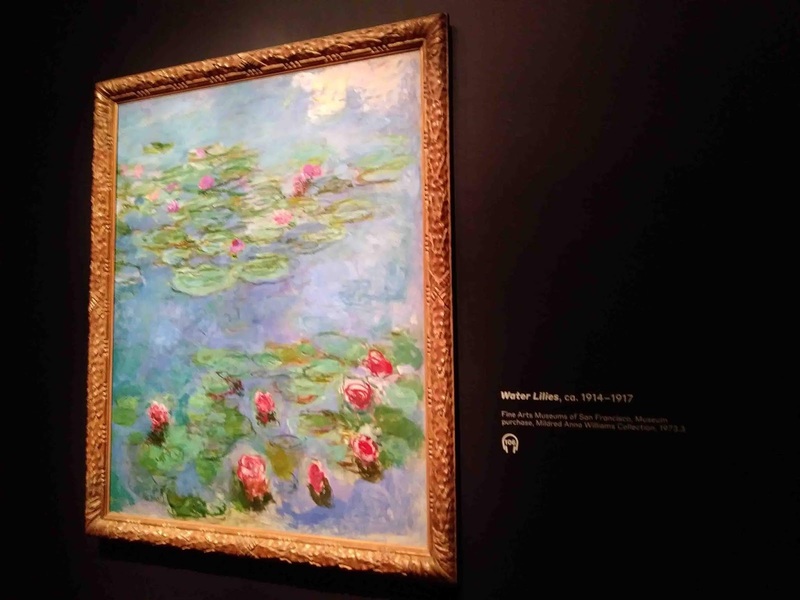 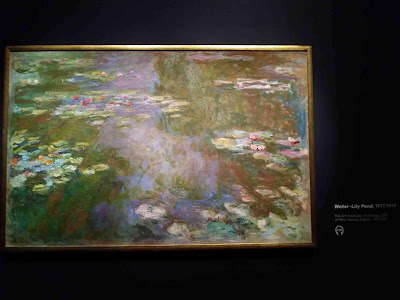 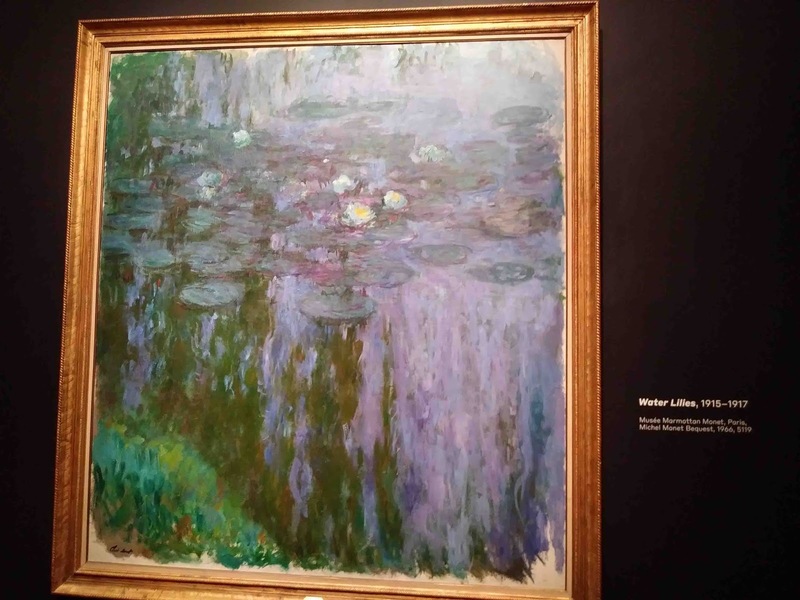 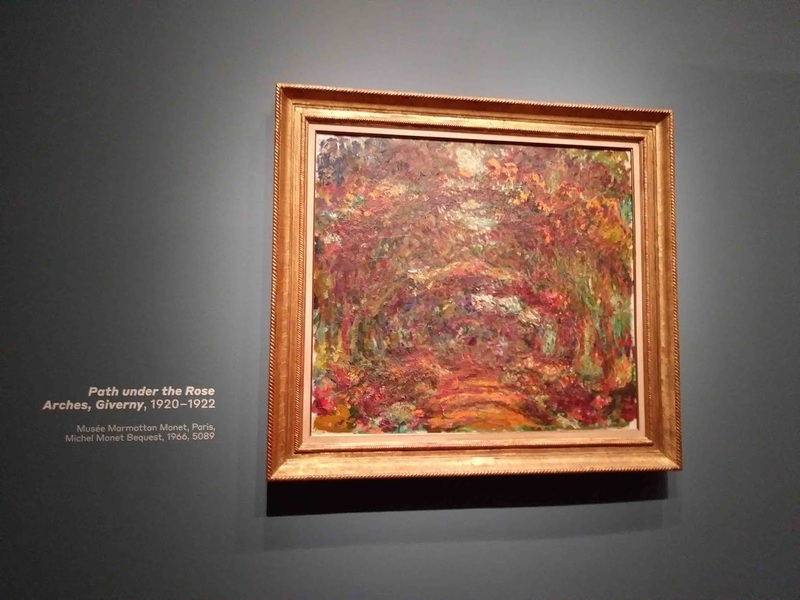 It is important to know when going to this exhibition that the paintings were created in the last couple of decades when Monet straggled with his cataracts. 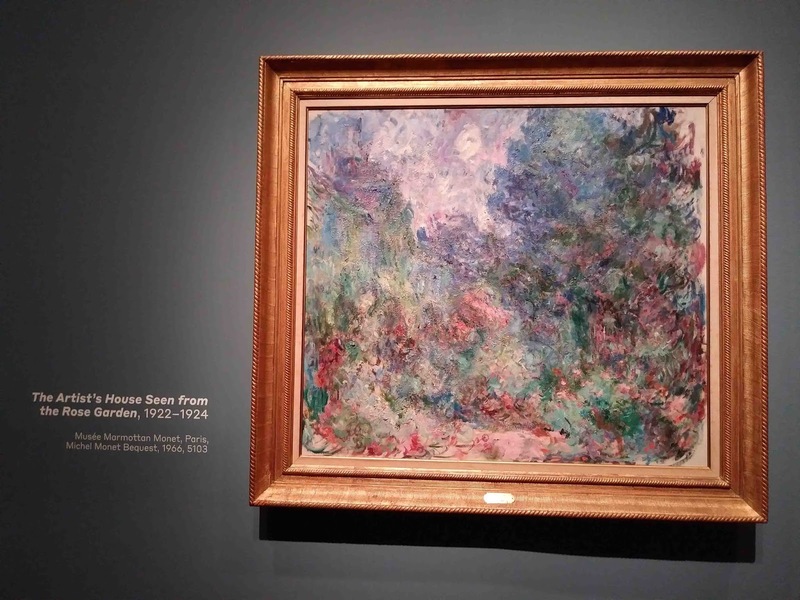 I admire his devotion to the art and ability to deal with the disease making it serve him well. 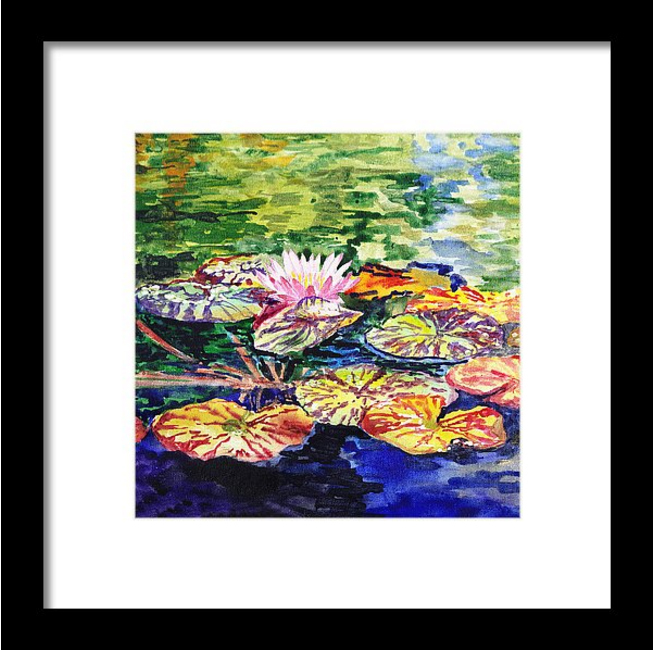 There is an interesting video documentary from 1913-1915 that shows Monet painting his Waterlilies en plein air style. 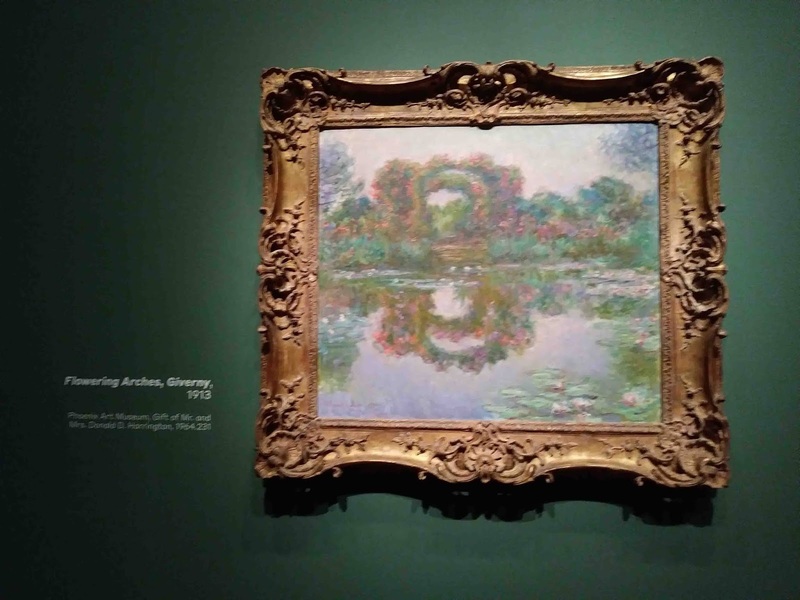 For Monet, ambition never drifted far below the surface. 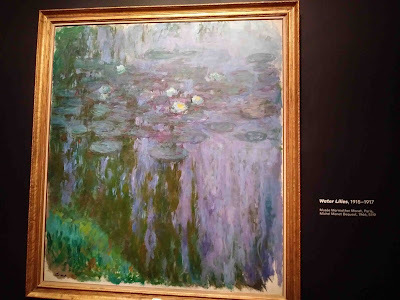 From his artistic debut in 1865 to the final months of his life, Monet pursued the fame and recognition bestowed upon those who achieve artistic originality. 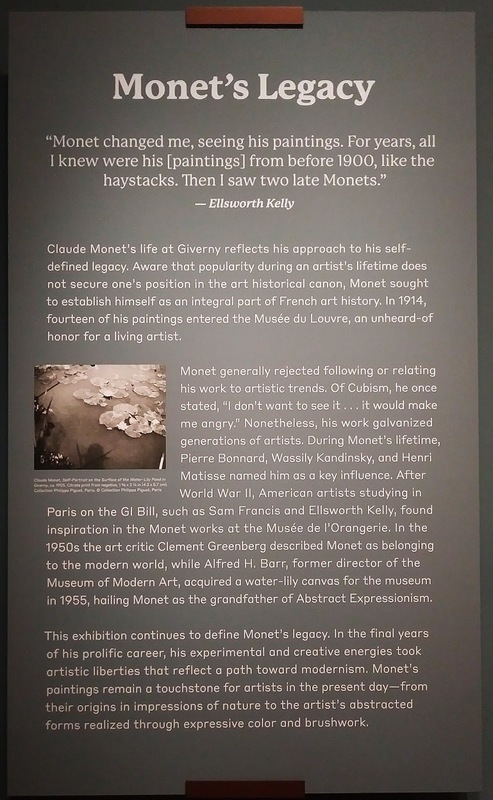 Monet: The Late Years tells the story of the tenacity, obsession, and unmatched productivity that define the last two decades of the artist’s career. 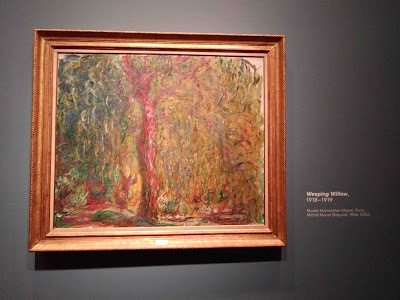 In 1883, at the age of 43, Monet settled in Giverny, France, a small village of no more than 300 inhabitants, with his two sons; his companion (soon to be second wife), Alice; and her six children. 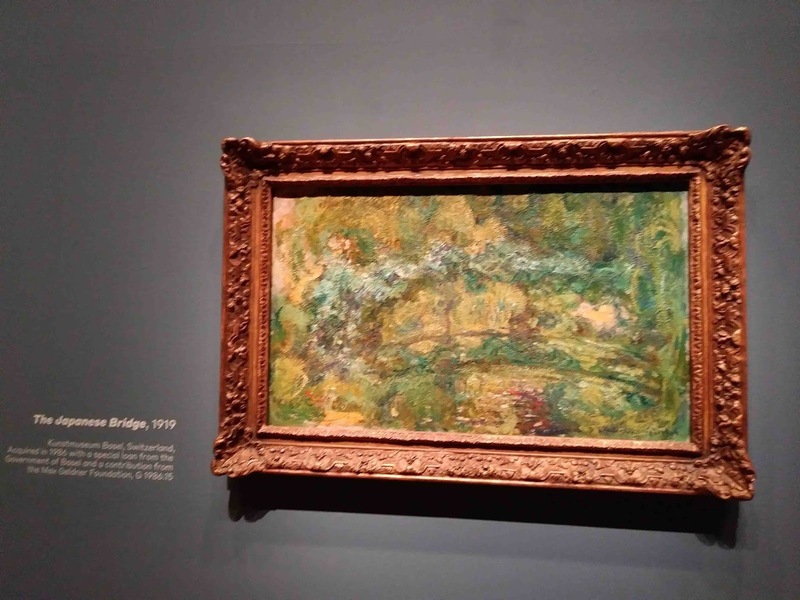 A direct train line provided easy access to Paris, just 45 miles away. 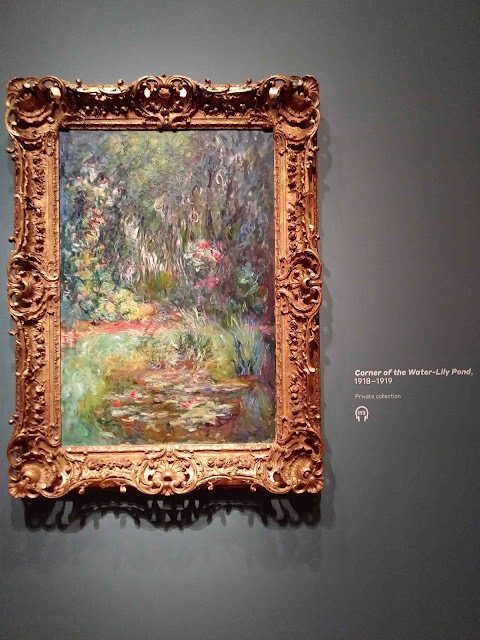 Life in Giverny offered Monet unprecedented happiness and prosperity. 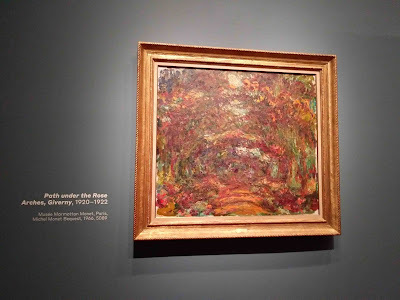 However, by 1914 Monet had endured the debilitating loss of Alice and subsequent death of his eldest son, events that contributed to a nearly two-year hiatus from painting. 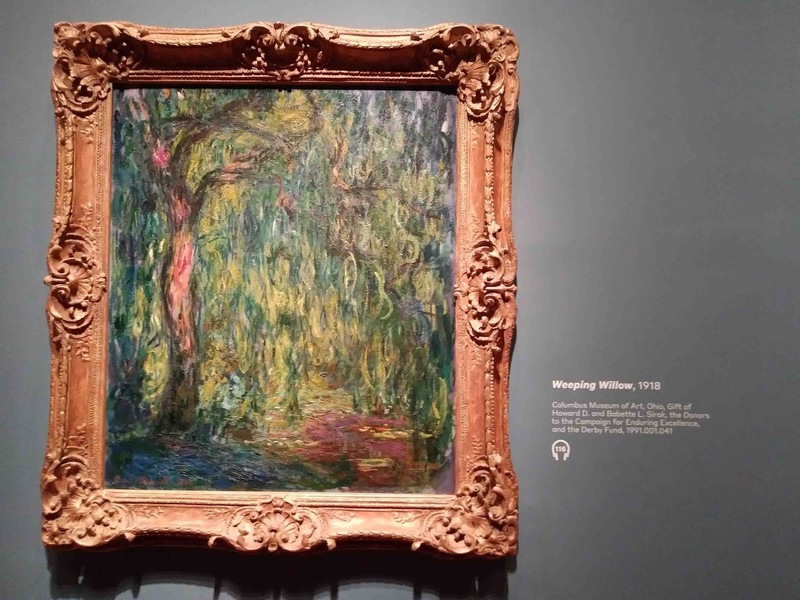 Throughout his career, Monet kept works that held personal significance. Toward the end of his life, Monet displayed these works in one of his studio buildings, as seen in the photograph below. In it Monet and a guest study a fragment of the composition Luncheon on the Grass(1865–1866), painted when he was in his mid-twenties. This nearly life-size canvas is pictured hanging alongside works he painted from 1887 to 1919. Over the course of his long career, Monet witnessed the development of modernism, which both built upon and challenged his aesthetic vision. As Post-Impressionist artists such as Paul Gauguin, Paul Cézanne, and Vincent van Gogh transformed the art world, paving the way for the modernist art movements of the 20th century, Monet continued to advance his own style. 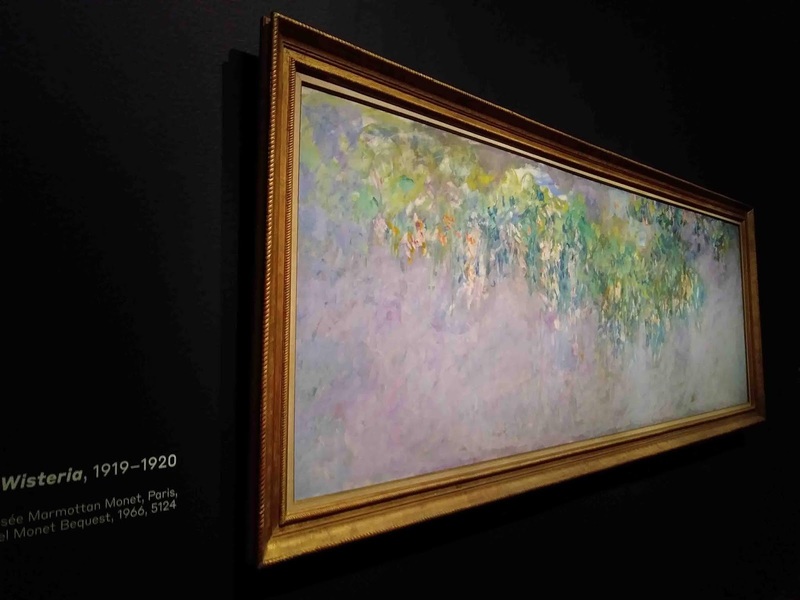 After his initial introduction of a revolutionary use of color and bold brushstrokes, Monet started painting in series in 1891. 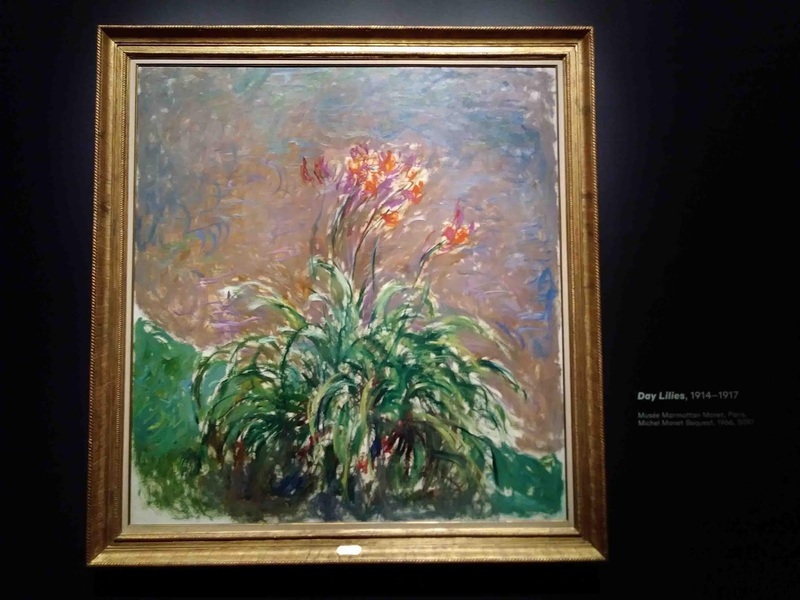 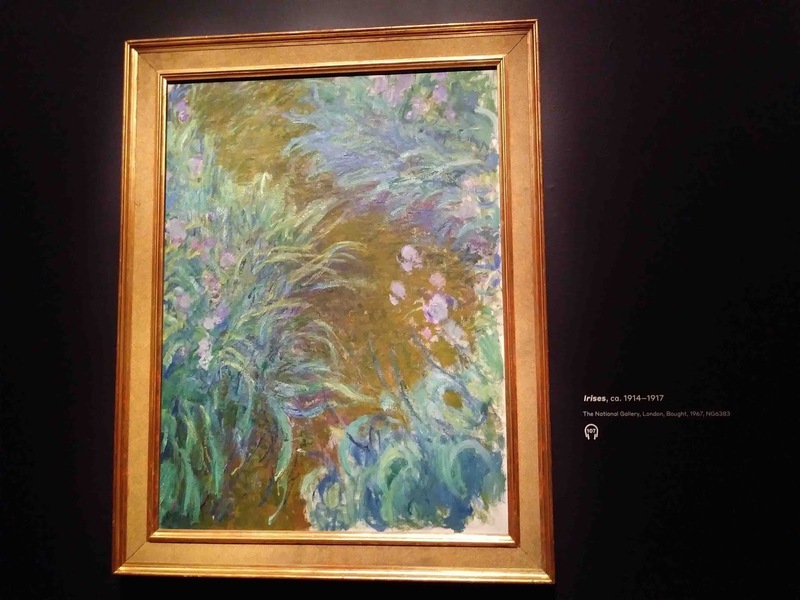 His first exhibition of serial works featured compositions of haystacks in the fields surrounding Giverny. 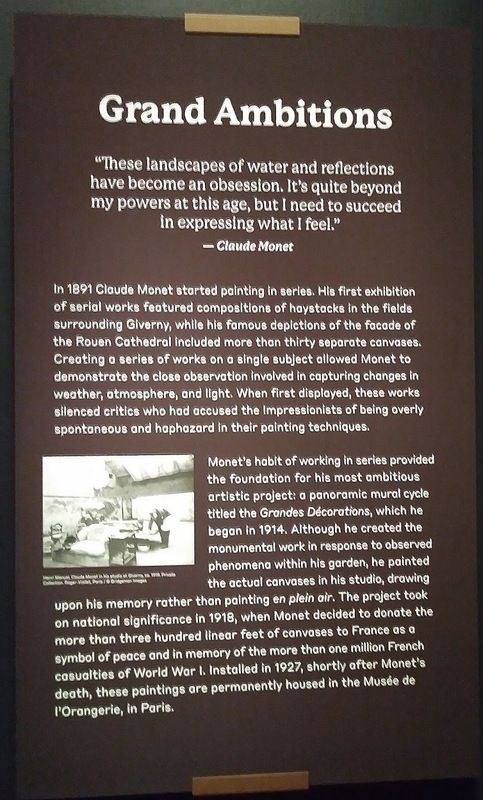 Creating a series of works focused on a single subject allowed Monet to demonstrate the level of exacting observation and meticulous skill involved in capturing changes in weather, atmosphere, and light. These works in part silenced critics who had accused the Impressionists of being overly spontaneous and haphazard. 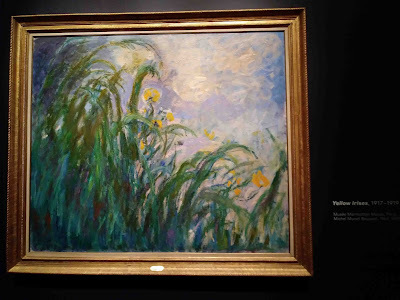 During the first two decades of the 20th century, Monet continued to evolve his style. 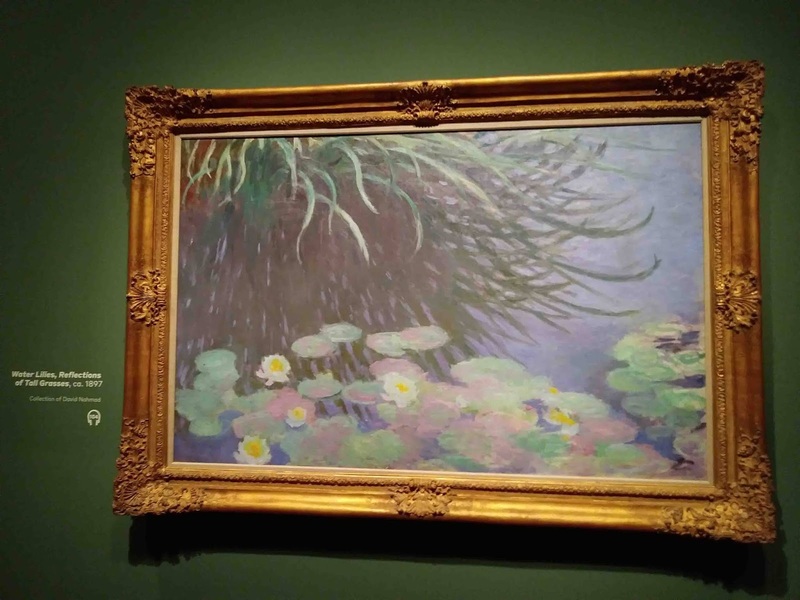 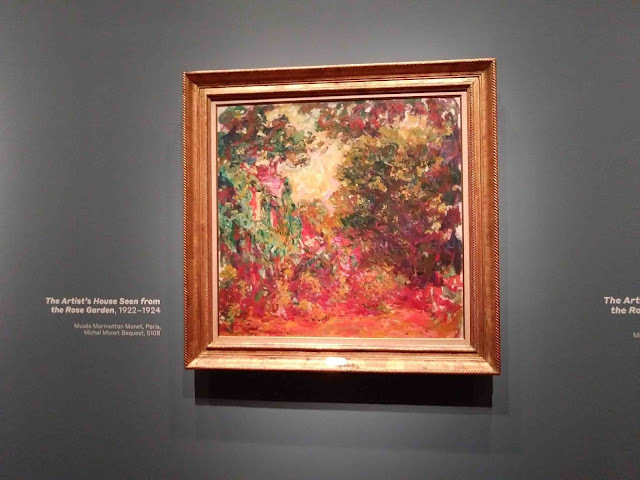 While Pablo Picasso, Henri Matisse, Marcel Duchamp, and Fernand Léger made headlines with their own artistic visions, which minimized the importance of observing nature, Monet remained steadfast in his focus on his gardens. 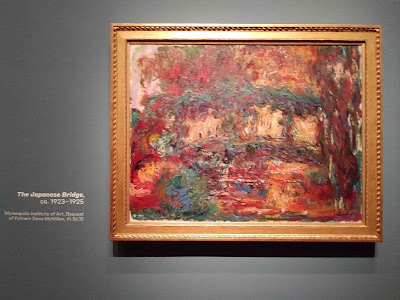 He brought vitality and interest to his work by evolving his brushstroke, which became broader and more layered, and significantly expanding the scale of his compositions. 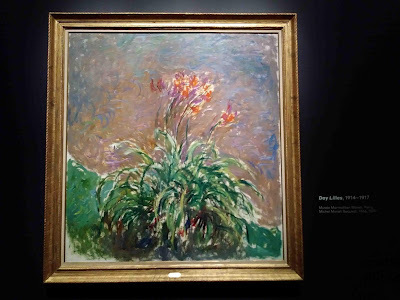 These stylistic innovations would crystalize in the artist’s most ambitious project, the Grandes Décorations, installed in the Musée de l’Orangerie in 1927, after the artist’s death, as a gift to the French state. 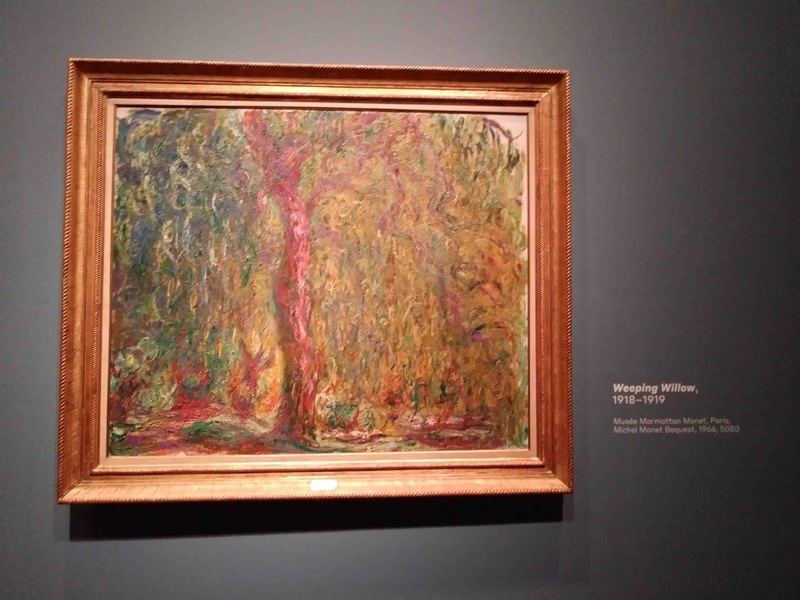 Close study of Monet’s brushstrokes in Weeping Willowreveals that the artist worked in multiple layers, applying some wet on wet and others after the paint fully dried. Despite Monet’s emphasis on his work “in the field,” his working process always included time in the studio. 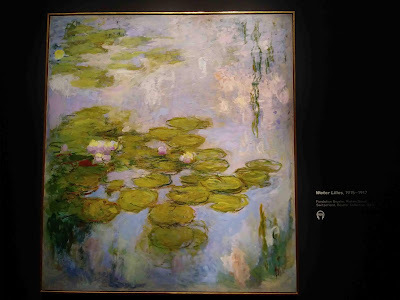 In fact, at Giverny Monet constructed three increasingly larger studios in which to work. From a very early age, Monet loved gardening, and he tended to the gardens at his homes before moving to Giverny. 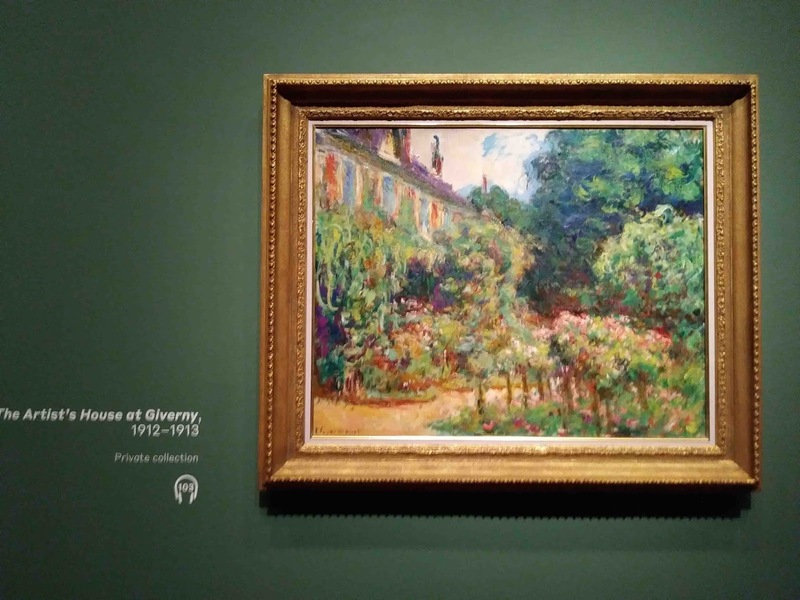 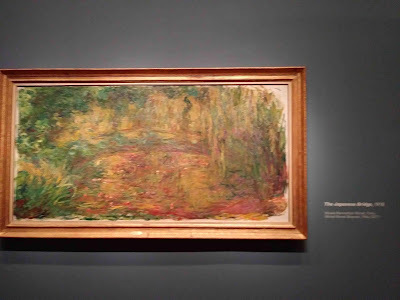 He once stated, “Beyond painting and gardening, I am good for nothing.” Upon taking possession of his Giverny home, called Le Pressoir (the Cider Press), Monet set about a massive redesign that slowly took shape between 1883 and 1899. His first order of business was to remove the kitchen garden at the front of the house and to update the plantings, giving particular attention to creating tones and color fields, in the two-and-a-half-acre walled garden behind the house. 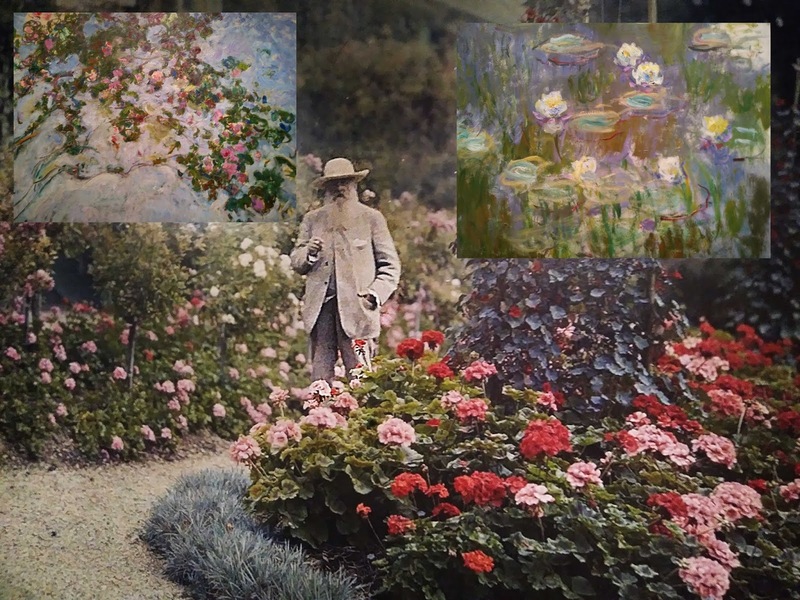 For Monet, who in his early career frequently experienced financial hardships, the garden—both its creation and its upkeep—amounted to a luxury. 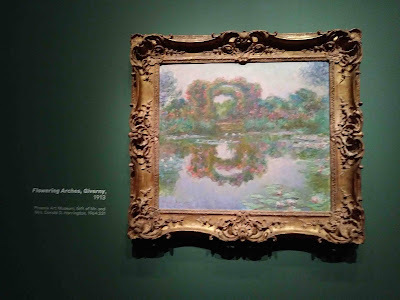 Monet’s artistic vision knew no limits. 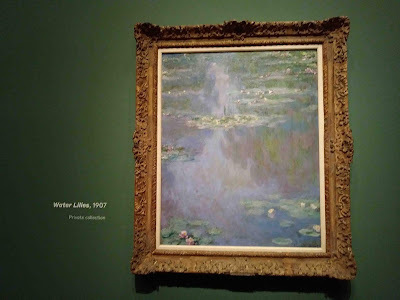 After purchasing the property across from his home, Monet set about requesting permission from the local authorities to create a small diversion in the Epte River to create a pond, in which he planned to cultivate aquatic plants. 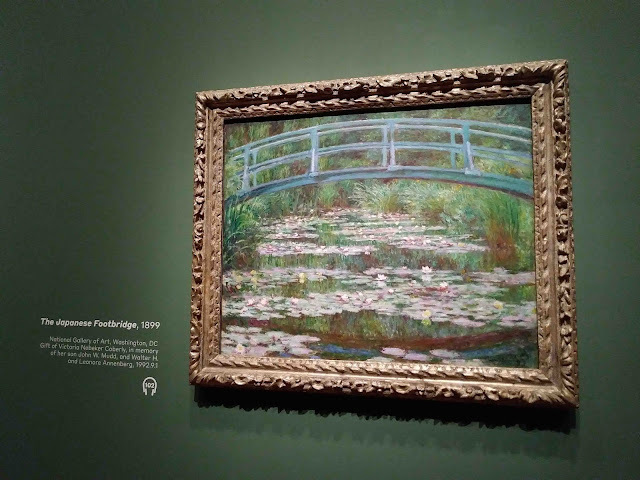 He also requested permission to construct two bridges to cross this water garden. 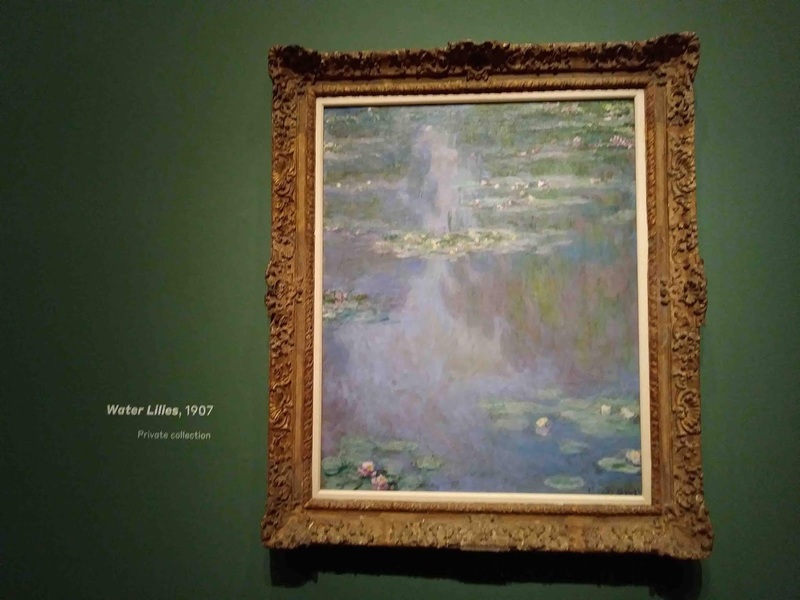 The local neighbors and farmers vigorously opposed the plan, fearing the possible pollution of their water source. 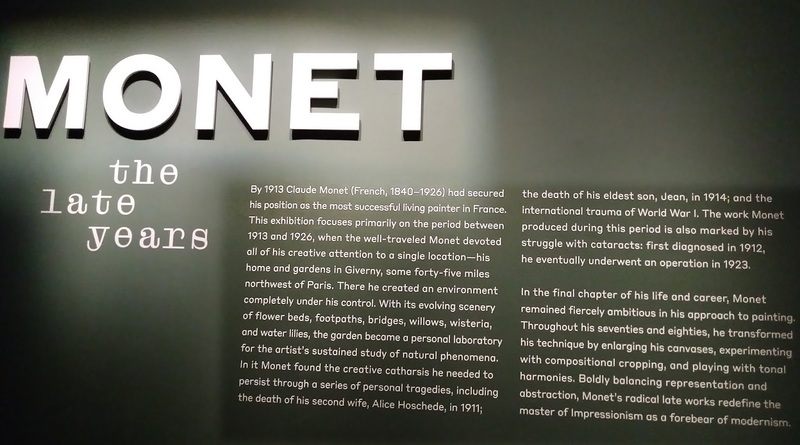 A series of letters between Monet and his wife Alice document the artist’s sharp temper and steadfast resolve to achieve his vision. 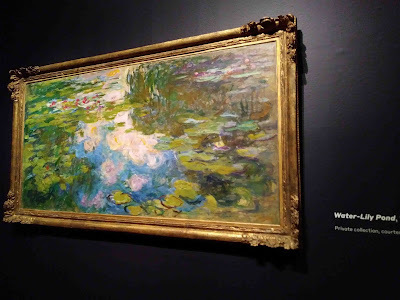 In one letter, Monet exclaims, “To hell with the natives of Giverny.” Years later, he again engaged with the local government, paying for all the roads in town to be paved to alleviate the dust that constantly contaminated the leaves of his water lilies. 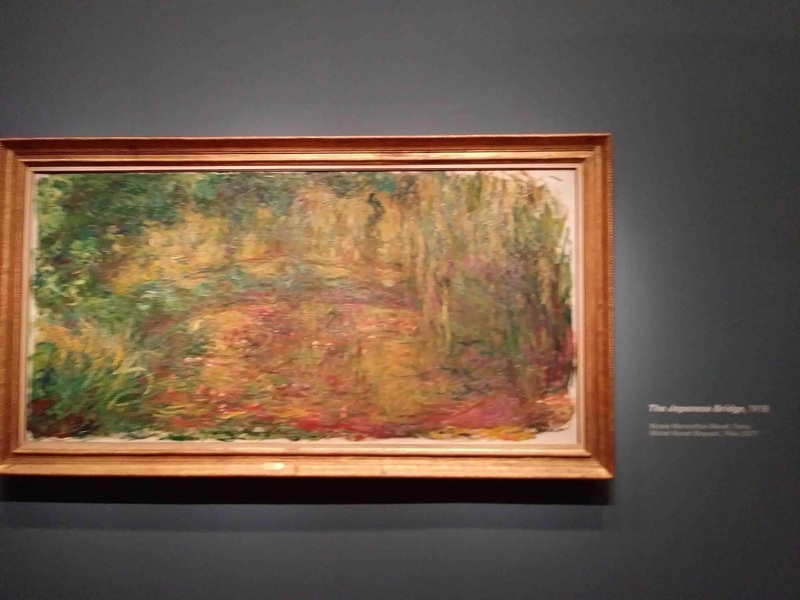 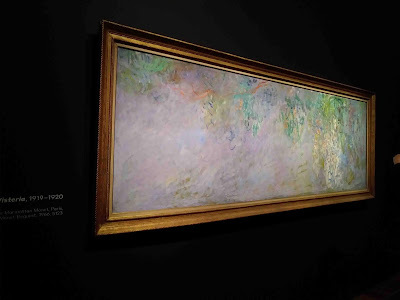 In the final years of his career, Monet’s attention increasingly focused on the multiple visual effects of his lily pond, which he used as an instrument for radical artistic development. 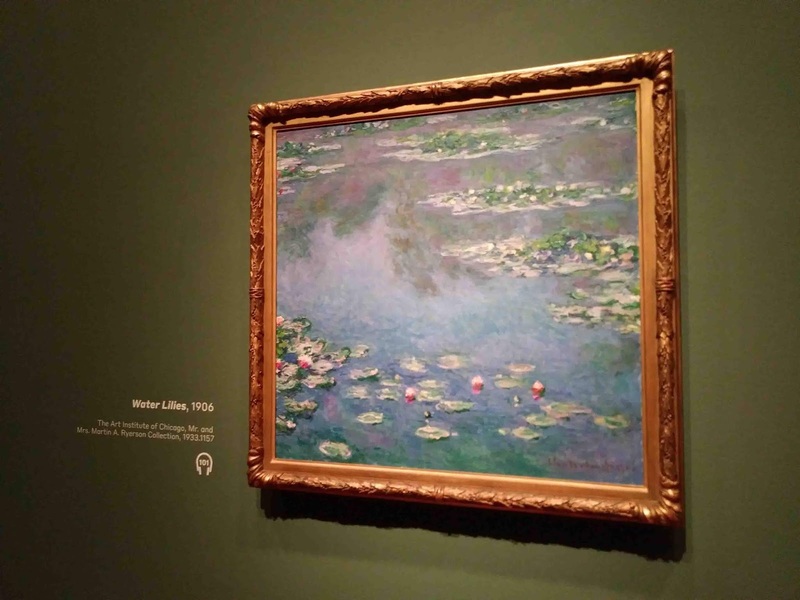 In 1903 Monet undertook his first series devoted to water lilies. 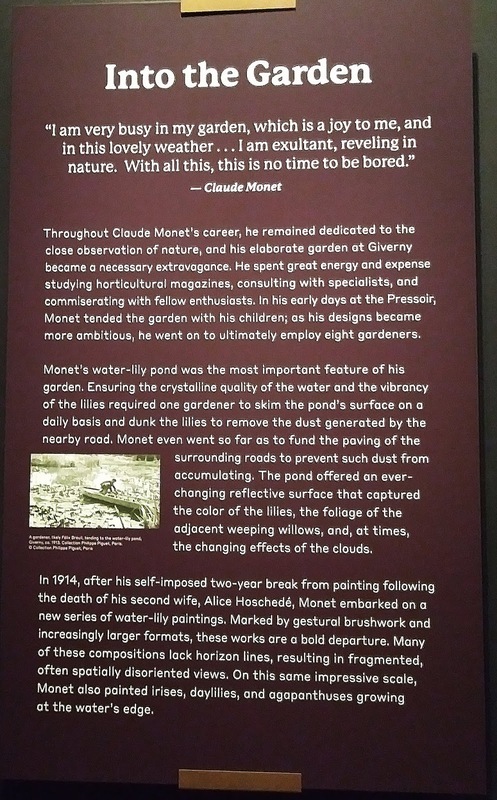 Monet’s observations of his pond extend beyond the visual, becoming metaphorical statements about the transformative power of nature. These canvases, painted while the artist was in his 70s and 80s, are often so large that they cannot be seen in a single glance. 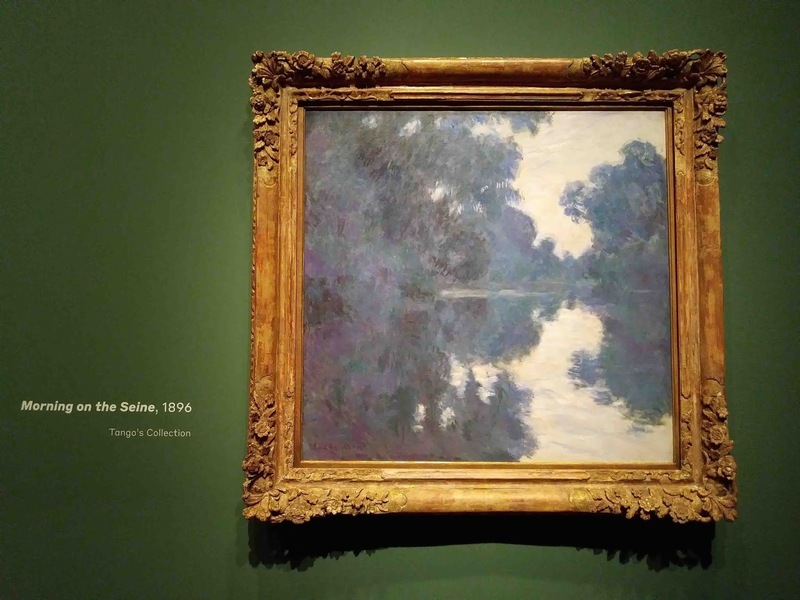 Monet’s stepdaughter Blanche, nicknamed “the Blue Angel” for her blue eyes and endless patience, served as Monet’s chief assistant, moving canvases about his studio. 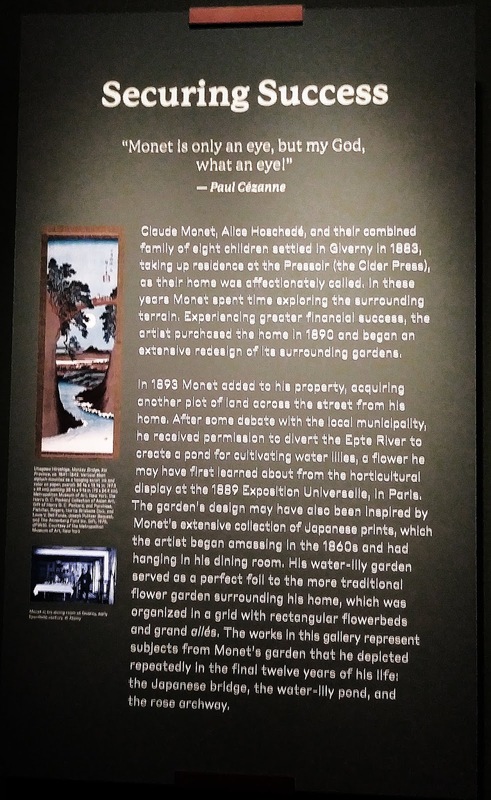 At times his gardeners would help bring canvases to the gardens. 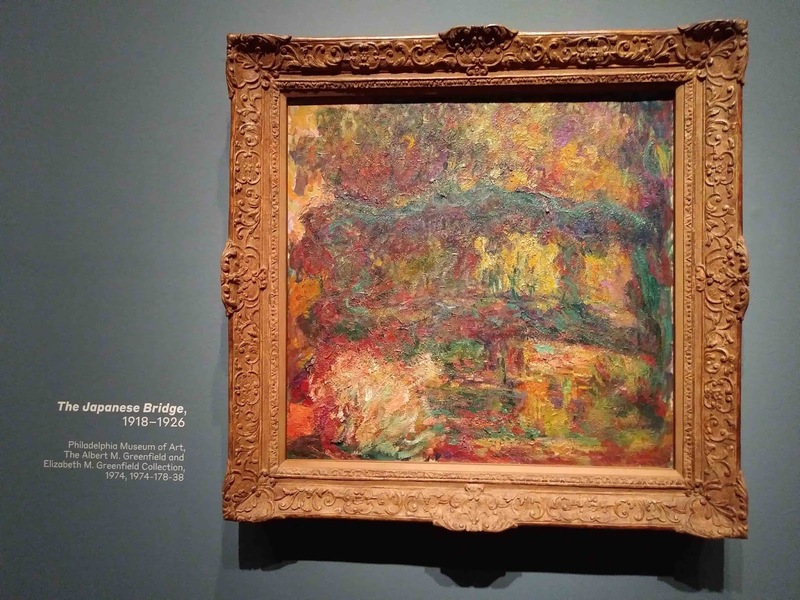 From the start, Monet was an accomplished colorist, leading his contemporary Paul Cézanne to declare, “Monet is nothing but an eye, but what an eye.” His late compositions show broad, energetic brushstrokes of vibrant color that float on the two-dimensional surface of the canvas. 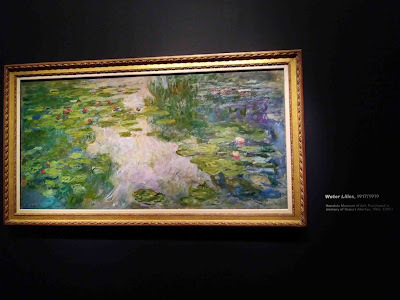 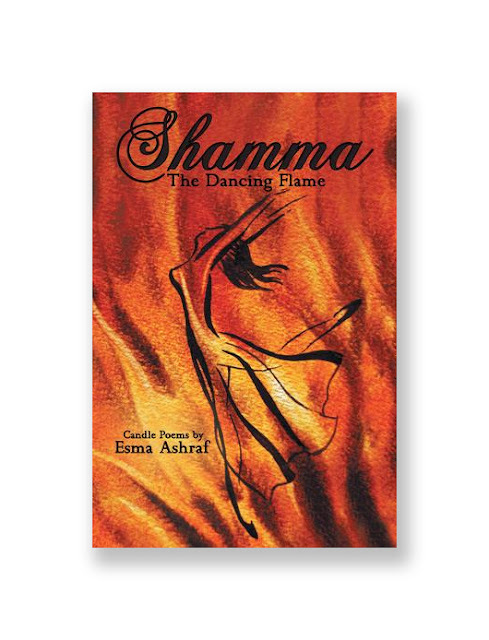 Other examples are so vibrantly colored that they elude a direct connection with nature and suggest pure sensory experience in its place. 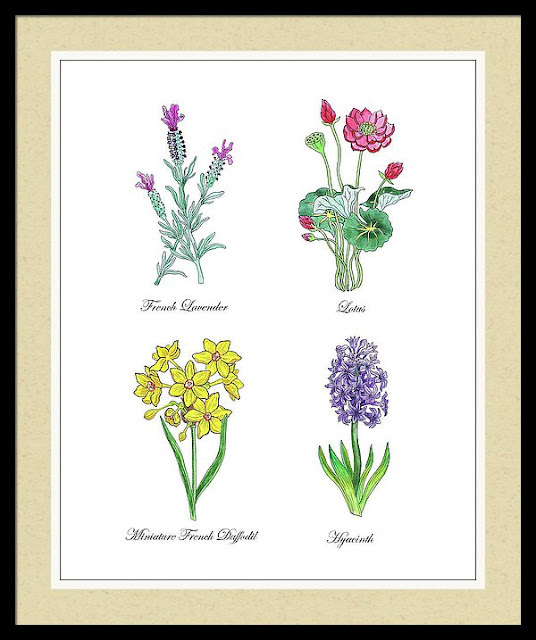 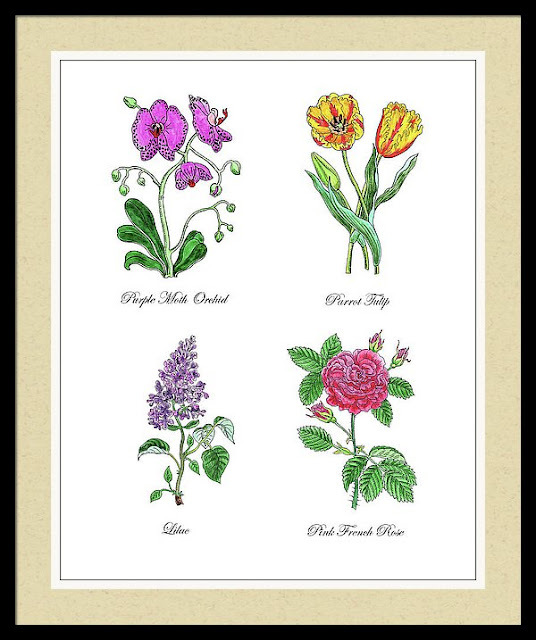 Botanical Floral Collection that became so popular through my Botanical Flowers Books through the books stores such Barnes & Noble and Amazon are now available in prints. 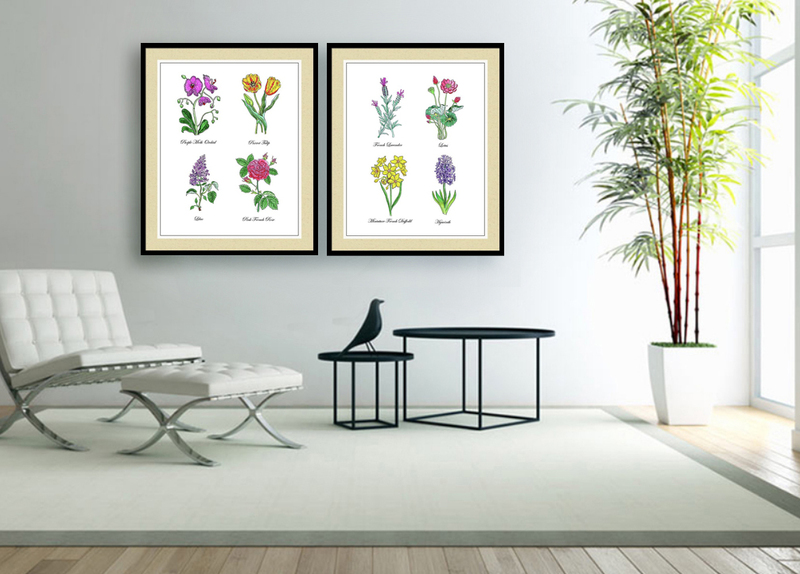 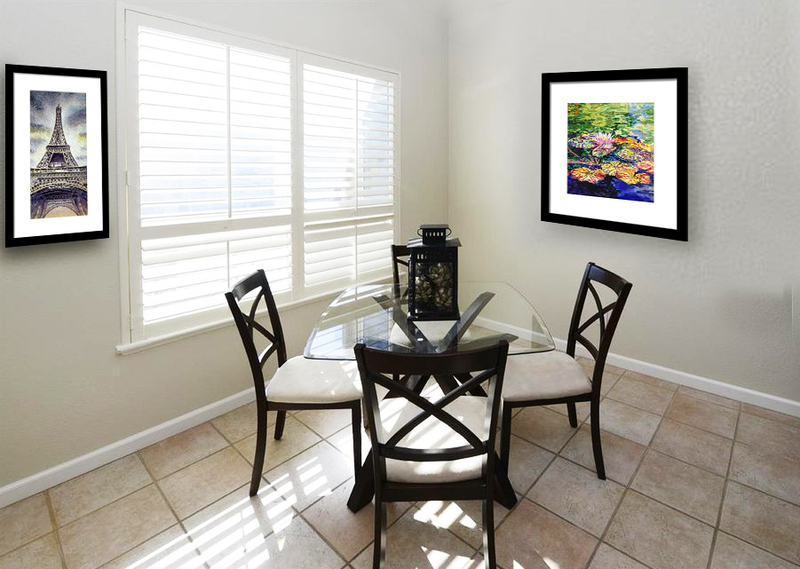 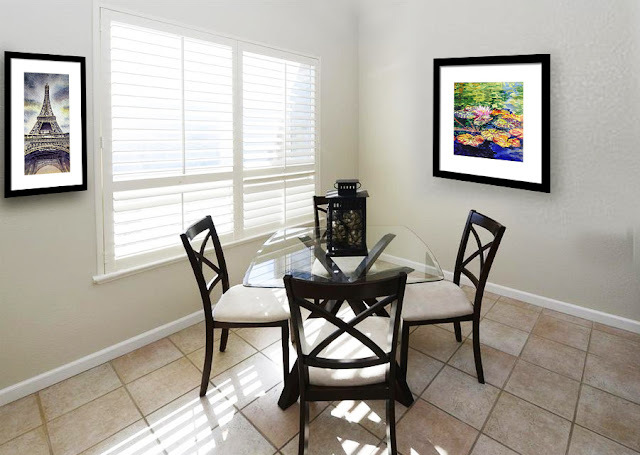 The above interior decor has two botanical flowers groups.